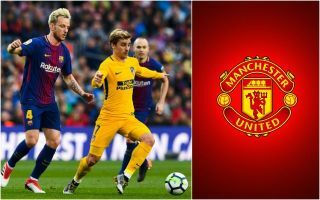 Manchester United look to have been handed a potentially significant boost in their rumoured pursuit of Atletico Madrid star Antoine Griezmann. The France international has been one of the finest attacking players in the world for the last few years and makes sense as a target for the Red Devils to replace flop signing Alexis Sanchez. Sport recently claimed Man Utd were leading the chase for Griezmann’s signature, while Marca report that he’ll become available for just £103million when his release clause fee falls in June. It remains to be seen how this will all pan out, but the latest from Don Balon is that the 28-year-old has at least ruled out joining Paris Saint-Germain. United fans will hope this means their club can move that bit closer to signing Griezmann, without one major rival to worry about. PSG have significant spending power and have landed many of the world’s biggest names in recent years. Still, Don Balon claim Griezmann has snubbed them, so that must give MUFC some added hope of winning the race for his signature in the summer. Attacking players seem to be a priority for the club, with Jadon Sancho recently strongly linked as a target for them by both the Sun and the Mirror.